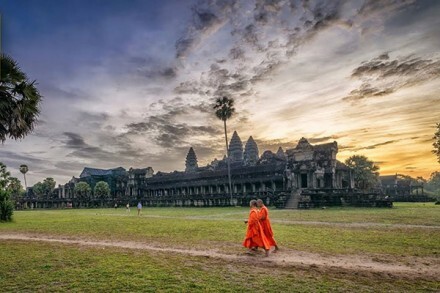 Cambodia and Vietnam may boast uniquely fascinating cultures, but experiencing both of these incredible countries in Indochina in a memorable journey highlights the natural beauty and cultural charm we want to share. Exploring the diversity of this stunning corner of Southeast Asia promises an unforgettable memory. We will share the historical experience in Vietnam Cambodia itinerary 7 days with you to get the best trip. Coming to the first destination in Vietnam is Saigon Opera House which has been constructed since 1898 by the French architect. The theater was set to be two meters higher than the street with two door layers in order to prevent traffic noise. The theater is now a venue including 468 seats offers a good view from every seat for many high-profile events and cultural – entertainment activities of the city. Duc Ba church where is a famous historical cathedral in Southern Vietnam. It is a wonderful building situated in the Paris Square in Saigon downtown, where is attracting almost tourists by its sacred atmosphere and style architecture. During the period 1863-1880, Duc Ba church is constructed by French colonists. It includes two bell towers nearly a height of over 58 meters. Following the French structure, Duc Ba Church has established a community and religious services for French colonialists. In the afternoon, you should visit Suoi Tien or Dam Sen theme park. These entertainment centers are constructed toward the most modern to attract more international travelers in Ho Chi Minh City. You should come to Bui Vien Street to enjoy the beer and join night market. 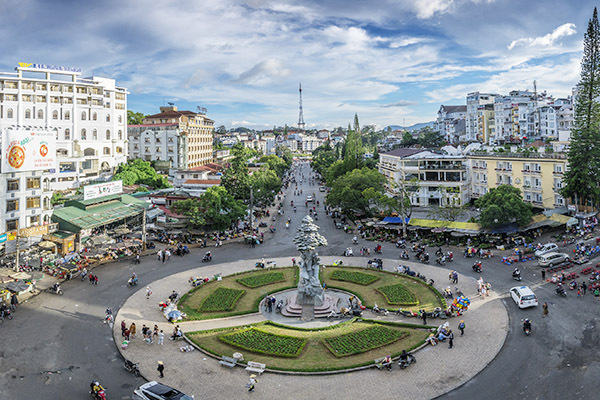 Actually, Bui Vien is known as a place for tourists to be able to feel the soul of Ho Chi Minh City, which is simple and the connection of the traditional and the modern, of the East and the West. 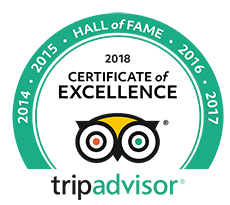 You don’t trouble about drinking beer and eating some special foods which are completely suitable with foreigner’s favorite then you should come to your hotel and have a good night. 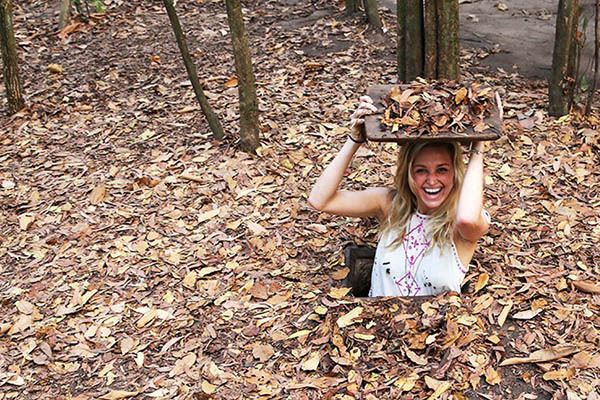 Cu Chi tunnels complex is one of the best things to do in Saigon in 2 days, where is to discover Can Gio. You should take a ticket of Cu Chi Tunnels Tour that will introduce its history as Vietnamese war. Especially, you have a chance to explore the system of tunnels being famous from the win a war. And this is also an opportunity to know how it works the destructive power of the bomb was attacked in the US military. The tunnels of Cu Chi were built over a period of 25 years that began in the late 1940s. The villages of Cu Chi have been presented with numerous honorific awards, citations, and decorations by the government so they are called ‘heroic villages’. 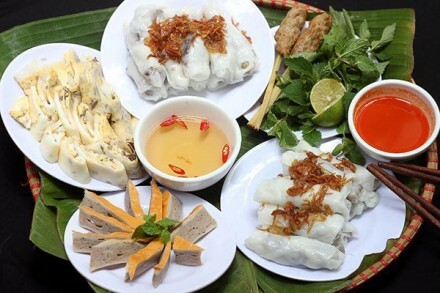 You will be enjoying the lunch in Cu Chi tour which includes the traditional foods in South area after that you come back to Saigon. Having an advice for you that massage at Ngoc Anh Spa 31/1 Nguyen Binh Khiem, Da Kao Street, District 1. This Spa is quite famous with the high price and the good quality services. You will be picked up at your hotel in Ho Chi Minh by bus to transfer to My Tho. Take a boat ride along the river through Bao Dinh natural canal; you view the stilt houses and the fruit plantation along the river bank. 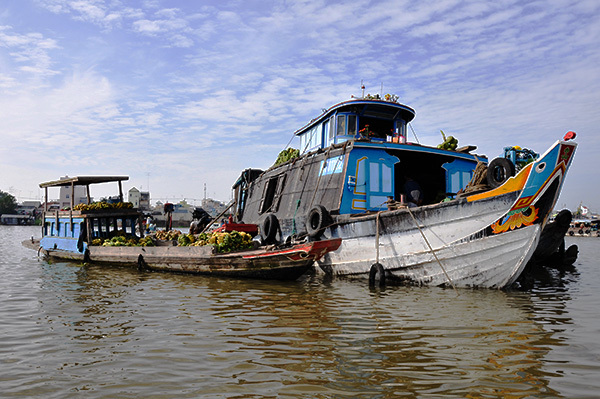 Moreover, moving by a boat ride is easy to visit orchards, bee farms and coconut candy establishments in Ben Tre. And have you been to the Cai Rang Floating Market? If not yet, let’s spend a 30 minute boat ride to the market. You will be actually enjoying it by the peaceful floating. Then, tell us why you think this market is a great place! You can’t be missed Phong Dien floating market in the best Vietnam Cambodia itinerary 7 days. 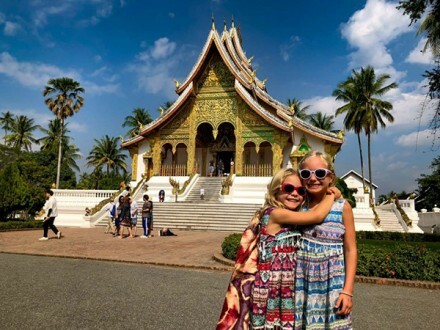 It is located roughly 15 kilometers away from the Can Tho City center, which is at its busiest at this time of day. 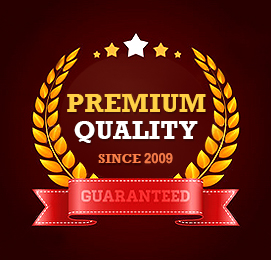 In the market, there are boats selling household and working tools such as canoes, boats, roofing sheets, knives, machete, and fishing tools like fishing nets, or weaving products as baskets, and all kinds of general domestic and foreign cargoes. Additionally, the market also sells many types of food: noodle soup, noodle with roasted meat, rice soup, hu tieu, and so on. Otherwise, they have a chance to experience how to pass a “Monkey bridge” which is built by only one bamboo. You keep cruising through the small channels system and visit a rice noodle making village. After breakfast, you should take a rowing boat trip through the floating village to visit a fish farm and grace how the Mekong Delta people raise fish from their floating. 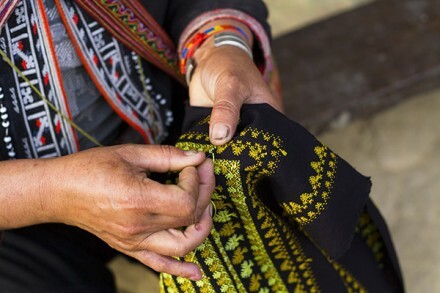 Next, the place in the itinerary is the Cham minority in their traditional weaving village. You are continuing transferring to a speed boat for the journey to Phnom Penh (8.30 a.m-1.30 p.m). After that, you should take flight to Siem Riep. Then landing at Siem Reap airport, we head to our hotel down town for check-in. The gateway to the inspiring temples of Angkor where is attracting more foreigners. 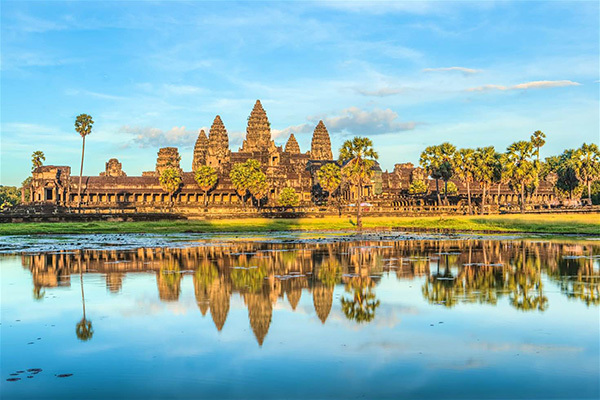 Clearly, Angkor Wat is one of many temple complexes near the modern city of Siem Reap. The temple complexes include: Angkor Thom, Ta Prohm and Bayon Temples, Phimeanakas, and the Terrace of Elephants. In these temples, Bayon temple is at the heart of Angkor Thom, which has many traditional elements of Buddhist temples. 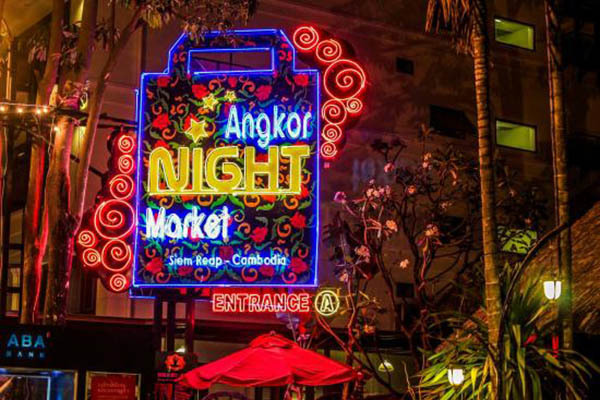 And in the evening, the most attractive foreigners place is Angkor night market. Walking around Night Markets is in order to discover the performance of local people. After a day tourists exhausted to visit temples in Angkor Wat Siem Reap Cambodia, you can come to the fish spa to enjoy the massage service to relieve and make your best spirit. Moreover, you also can choose products made from recycled materials like bags, wallets, purses and pouches as gifts when coming back. After breakfast depart Siem Reap for the Tonle Sap, the next activity is driving down the eastern side of the lake. 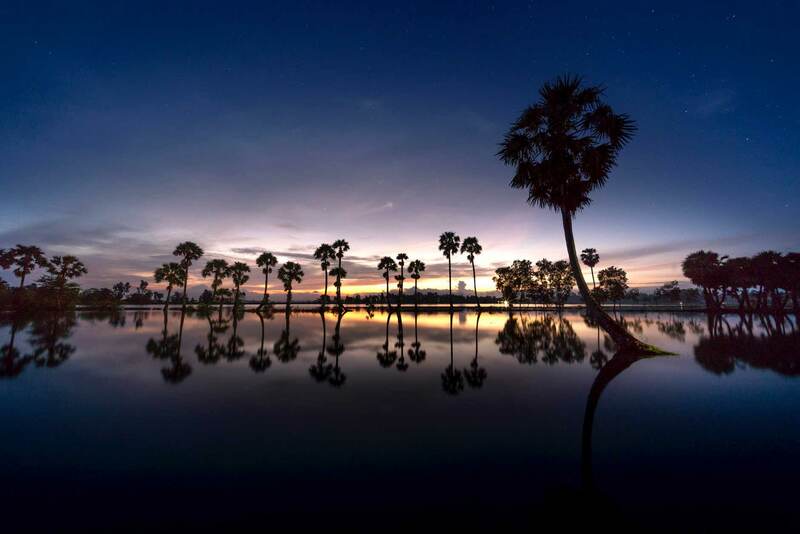 Arrive at Kompong Klaing, you also discover a remarkable village built entirely on stilts, where there is time to explore the various houses and shops before boarding your private boat. You will also have a opportunity to meet and approach with the local life of these villagers. You visit a fish & crocodile farm before returning from the lake. High recommendation for you is taking a tour by boat to see floating houses, floating schools and even a floating hospital. Transfer to Siem Reap airport for departure to next destination. End of the trip. You should prepare enough something to have a great trip in both of Vietnam and Cambodia. There are passport, clothes, good shoes, protections such as medicines, sun-glasses and hat and necessary devices like smartphone, camera, and backup charger. 1. Please let me know the price person for this 7 days trip to Vietnam and Cambodia. 4.Will this be Group tour or a customized one?